It’s almost Memorial Day and that means lots of barbecues and pool parties. Here we share this fun and easy drink recipe for adults only. 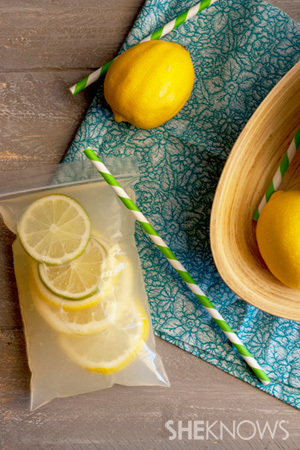 We took a popular kid’s drink and used the idea to make these adult-style juice pouches filled with vodka lemonade. These drinks are so easy and a great idea for your next summer gathering. 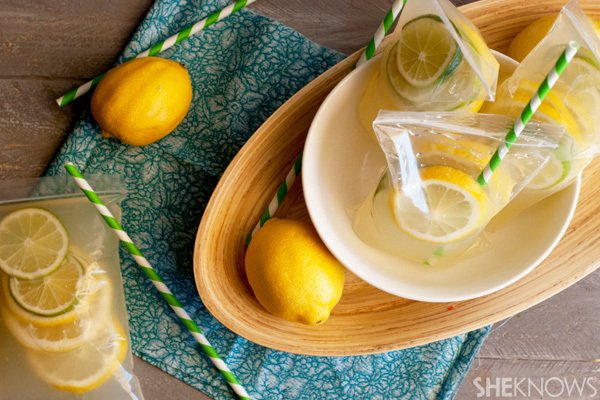 Simply fill the bags with the vodka lemonade or any other drink of choice and chill until ready to serve. You can also freeze the drinks and place them in your cooler before serving. By the time you are ready to start sipping, they will have begun to defrost, leaving you with a delicious icy cold cocktail that won’t get watered down. You can freeze these ahead of time and remove them an hour before serving. This creates a slushy drink and also helps to keep the drink cool.